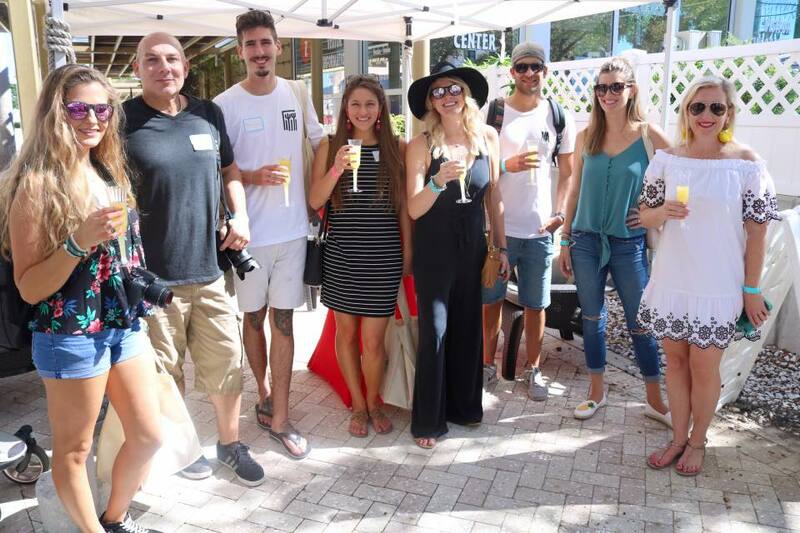 This weekend we joined Share a Little Sunshine, Downtown West Palm Beach and Discover the Palm Beaches along with a crew of bloggers to explore Clematis Street for a #LoveFL Block Party! We kicked off the day in the alleyway next to Subculture Coffee. The striking Kobra Art mural of Albert Einstein has become a crowd favorite Canvas public artwork piece and popular selfie spot in downtown WPB. The vibrant design is bright and endearing with a remixed “heart = me + you2” equation for relativity. After the group congregated, we spoke with one of the roasters of Subculture Coffee and enjoyed a pick-me-up of their coffee and cold brew to go. Next we made our way up the block to Hullbaloo, a trendy gastropub known for their food and craft cocktails. What a lot of people don’t realize is they have a charming back patio space with murals, hanging Clematis flowers, bistro lighting and a vintage airstream outfitted for dining. Here we enjoyed a lunch of Margherita Pizza, Hullabaloo Salads and Zucchini Chips. Ready to walk off our meal, we headed east towards the water with a stop at the elusive 215 Speakeasy. 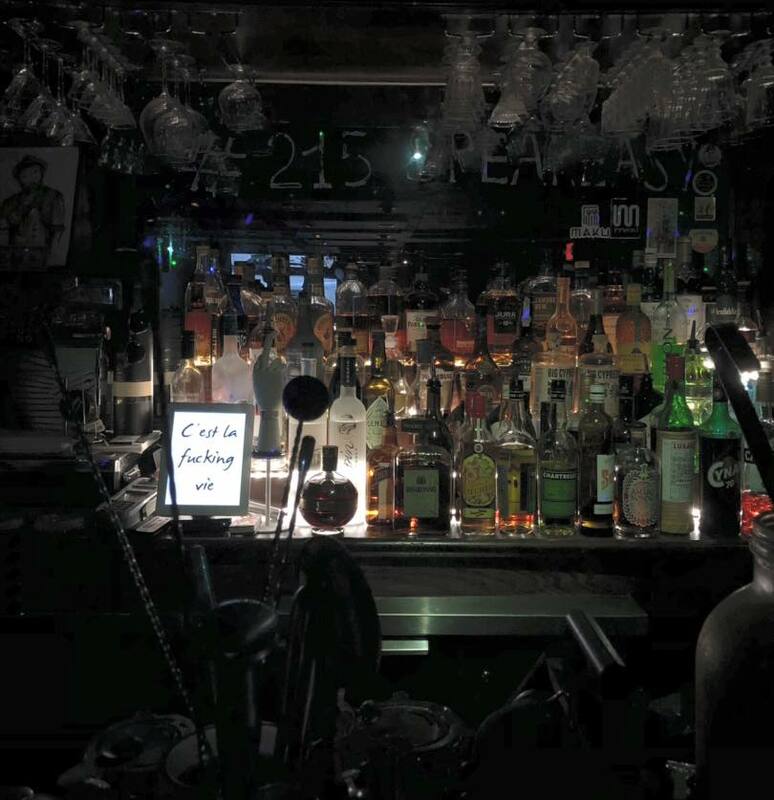 Hidden in the upstairs of Dorrian’s, Speakeasy is the home of mixologist Vincent Toscano. Even with the midday sun, the space was almost pitch black with lights giving a disco feel and a moody bar topped with mad scientist-looking cocktail tools. We cheers with a tropical rum punch and then watched the process of preparing a absinthe, complete with flaming sugar cubes and a special canister for dropping water into the mixture. We re-entered the South Florida sunshine and continued through the Antique Show to the Flagler Waterfront. Saturday mornings during season from 9am-1pm the City of West Palm Beach Green Market takes over the end Clematis Street with an array of vendors. Local businesses ranging from Celis Produce to Cider Doughnuts to Pumphouse Coffee to Aioli Bakery and Dreamallows come together to showcase their offerings alongside live music and activations. Such a fun way to spend a weekend day and explore our city! If you are ever looking for a way to experience West Palm Beach in a new light, check out Visit Florida, Discover the Palm Beaches, Downtown West Palm Beach, West Palm Beach Food Tour, and local bloggers like myself, The.Global.Local, LocalMomScoop, KevinBarata, SkyeSherman, AaronNosbisch, AGuyOnClematis and more!